Kawasaki ATV Forum > Kawasaki ATV Performance / Maintenance / Technical > Kawasaki Mule > Disable the seatbelt limiter? Not sure but i would think you could unplug it and put a jumper wire in it at the plug. Right, looking for a more permanent solution. 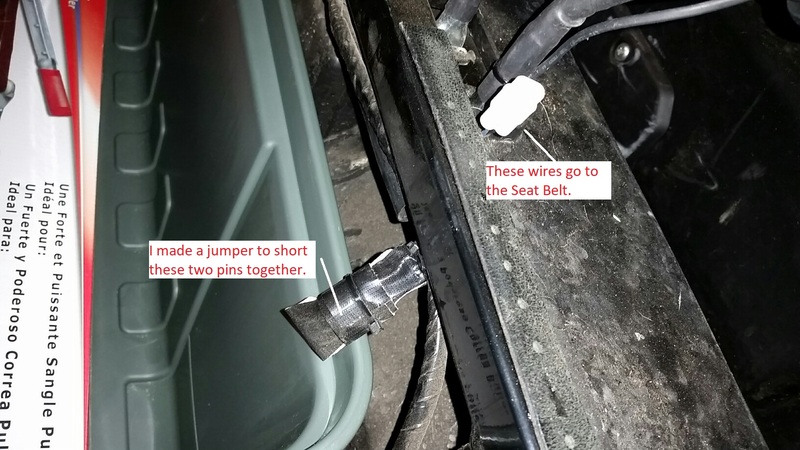 Yes, you can connect the two wires going into to the connector together and it will think it has a seatbelt installed. That's what I did to mine! Last edited by RJMJR; 05-09-2018 at 05:13 PM. Reason: Adding a photo. You are most welcome. Here the circuit diagram for that mod. 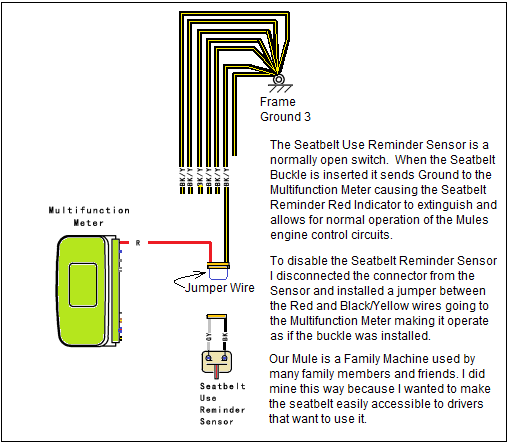 You could run the limiter circuit seatbelt jumper to a dash mounted switch.